Seeds are rich in nutrients and have many health benefits. These small but mighty kernels are high in vitamins and minerals the body needs to function at peak performance. 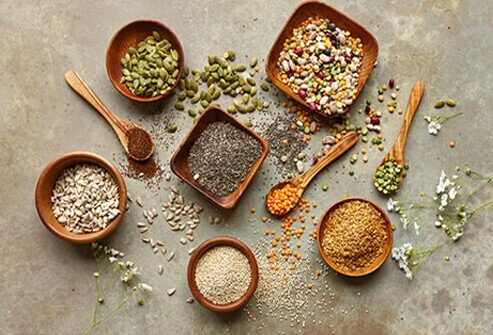 Seeds are extremely versatile and can be incorporated easily into a variety of different recipes. Need more energy? Want a slimmer waist? There’s a seed for that! Chia has come a long way since it first sprouted out of funny pottery in TV commercials. These tiny seeds pack in 10 grams of fiber in a 2-tablespoon serving. They also contain proteins, omega-3 fatty acids, antioxidants, and minerals like: iron, calcium, magnesium, and zinc. 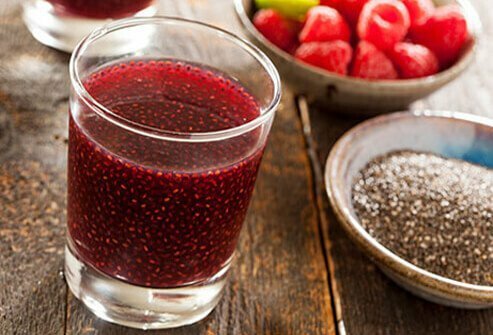 Chia seeds are easy to add to your favorite dishes. Sprinkle them ground or whole onto cereal, vegetables, or yogurt. Soak them in water to add to cooked cereal, or find a recipe for chia pudding as a healthy and tasty dessert. Wild rice is actually a seed – a grass seed. It's higher in protein than most other whole grains and contains 30 times more antioxidants than white rice. Wild rice is a good source of fiber, and nutrients such as: folate, magnesium, phosphorus, manganese, zinc, vitamin B6, and niacin. 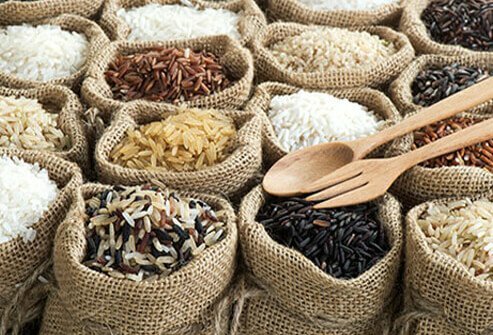 A 2009 study in China found wild rice might be effective in lowering cholesterol and other fats in the blood. Wild rice is extremely versatile and can be substituted for white rice in any dish. It can also be a healthy addition to a salad or soup. 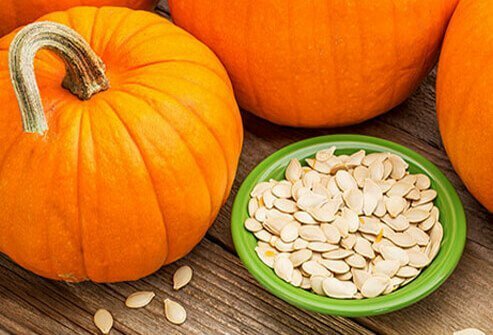 Pumpkin seeds are a tasty snack that boasts 16% of your daily iron needs in just ¼ cup. That same ¼ cup will also get you 5 grams of fiber, which is more than most nuts. In addition, pumpkin seeds are a good source of amino acids, protein, and omega-3s, as well as minerals such as zinc and magnesium. Fresh roasted pumpkin seeds – a Halloween favorite – are an excellent snack, but you can enjoy them year-round sprinkled on oatmeal, baked into muffins, mixed into smoothies, or added to homemade granola and energy bars. Pomegranate seeds are small red "jewels" called arils. These arils have lots of fiber and 40% of your daily requirement of vitamin C. They also contain heart-healthy antioxidants called polyphenols, including: flavonoids, tannins, and anthocyanins. 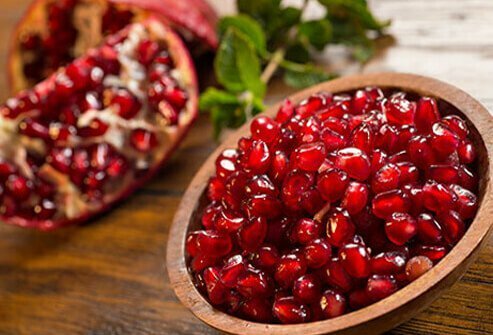 Pomegranate seeds make a sweet and juicy low-calorie snack. Try them tossed in salads, mixed into yogurt, or made into jelly. 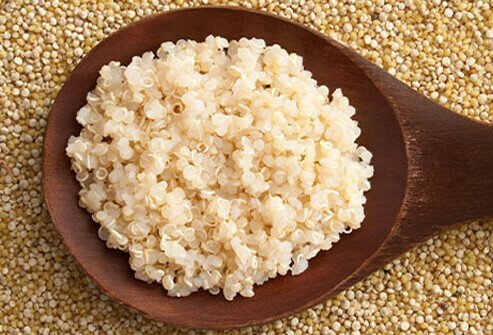 Quinoa has a remarkably high protein content (15%, or 8 grams per cup), along with amino acids, and vitamin E. It also contains an antioxidant called quercetin. This nutty-flavored seed can be substituted in grain dishes in place of rice or pasta. Quinoa also makes a healthy gluten-free breading, and can be eaten for breakfast instead of oatmeal. Flaxseed is packed with nutrients. Just two tablespoons of flaxseed contains 6 grams of fiber and 4 grams of protein. It is also rich in alpha-linolenic acid, a type of omega-3 fatty acid. 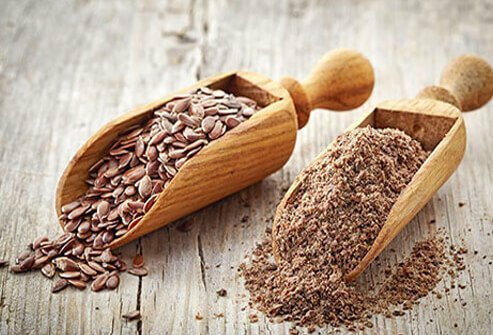 Some studies suggest flaxseed consumption helps improve cardiovascular health. Flaxseed also contains lignans, which may help protect the body from cancer. Adding flaxseed to your diet is easy. Bake it into muffins. Mix it in salads, yogurt, smoothies, cereal, and soups. Ground flaxseed can even be used as an egg substitute. "Flax Egg": 1 tablespoon ground flax seed plus 3 tablespoons warm water. 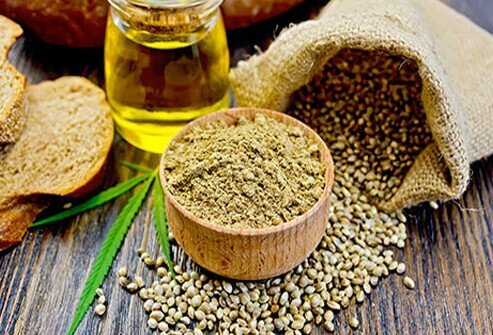 Hemp seeds are an excellent source of heart-healthy omega-3 and omega-6 fatty acids. They pack in 10 grams of easily digested protein into just 2 tablespoons. Hemp seeds have a mild, nutty flavor. They can be eaten on their own, added to salads, or on top of yogurt. Hemp milk is a good alternative to dairy milk. Sunflower seeds are high in healthy fats, as well as: proteins, fiber, phytochemicals, selenium, copper, and magnesium. 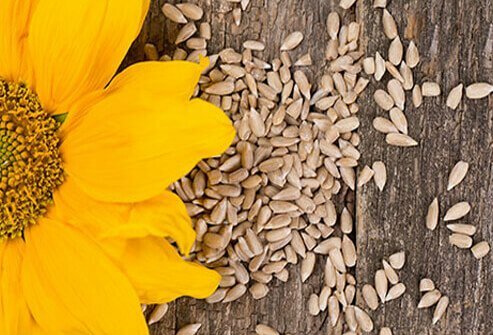 According to the USDA, sunflower seeds are “the richest source of vitamin E.” Aside from salad toppings, you can add sunflower seeds to muffins or bread recipes, in vegetable dishes or stir-fry, into trail mixes, and in cereals or yogurt. Try crushed sunflower seeds as a tasty gluten-free coating for fish or chicken. 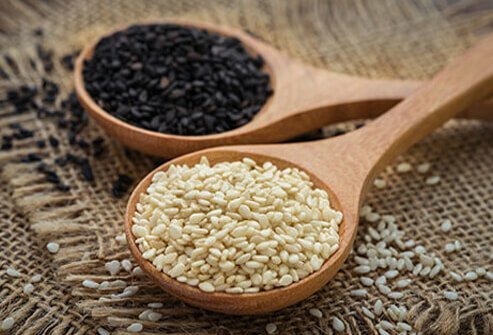 Despite their tiny size, sesame seeds contain up to 20% protein and lots of fiber. They are rich in the amino acids tryptophan and methionine. Sesame oil is a good choice for salad dressings as it is rich in linoleic and oleic acids, which have a cholesterol-lowering effect. Tahini (ground sesame seeds) is a main ingredient in hummus, and can also serve as a nut-free substitute for those with food allergies. Sprinkle sesame seeds on salads or stir-fry dishes for an added crunch. 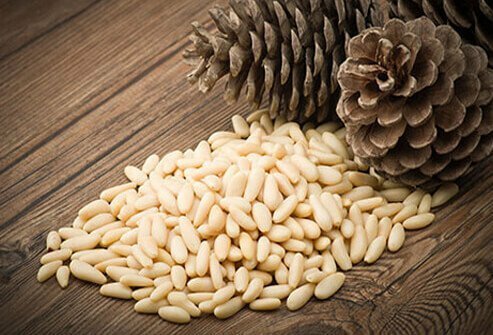 Pine nuts contain all of the amino acids along with: vitamin A, thiamin, riboflavin, niacin, vitamin E, copper, iron, managanese, and phosphorus. They are also a good source of pinoleic acid, a fatty acid that acts as a natural appetite suppressant. The monosaturated fats found in pine nuts are known to decrease the levels of cholesterol in the blood stream, which in turn, can lower heart attack and stroke risks. Like most of the seeds, you can add them to salads, yogurts, trail mixes, muffins, and vegetable dishes. Just one teaspoon of tiny poppy seeds contains up to four percent of your recommended daily intake of phosphorous, calcium, and iron. Calcium and phosphorous are essential nutrients needed to build healthy bones. 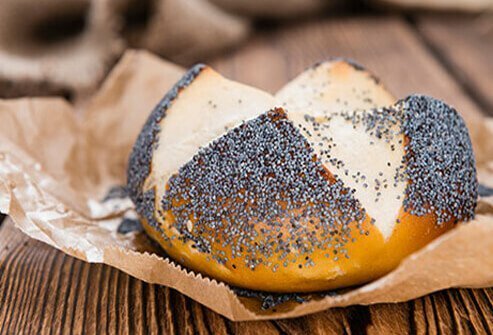 Poppy seeds are also a great source of oleic acid, fiber, and omega-3 fatty acids. It's easy to add poppy seeds to salad dressings, whole wheat pancakes, muffins, or vegetable dishes. Just sprinkle them on! Please note that poppy seeds may cause false/positive narcotic drug test results. My Whole Food Life: "How to Make a Flax Meal Egg Replacer"
National Sunflower Association: "Nutritional Power of Sunflower Seeds"
Natural News: "The Amazing Health Benefits that you Can Reap from Consuming Poppy Seeds"
North American Vegetarian Society: "Nuts & Seeds"
One Green Planet: "The Perfect Seed: Why Everyone Should Add Pumpkin Seeds to Their Diet"
PineNut.com: "Pine Nut Nutritional Values & Species"
PubMed.gov: "Nutritional Value of Sesame Seeds"
Science Daily: "Pine Nut Oil Boosts Appetite Suppressors Up To 60 Percent For 4 Hours"
University of Florida IFAS Citrus Extension: "Pomegranate Health Benefits"
University of Kuoio, Finland: "Hempseed as a nutritional resource: An overview"
US National Library of Medicine National Institutes of Health: "The Cardiac and Haemostatic Effects of Dietary Hempseed"
Whole Grains Council: "Health Benefits of Quinoa", "Wild Rice September Grain of the Month"